In this June 1, 2017, file photo, a sign stands on the campus of the Aetna headquarters in Hartford, Connecticut. The Justice Department has agreed to Aetna’s plan to sell its Medicare Part D prescription drug plan business for individuals to fellow insurer WellCare, resolving competition concerns. The proposed $69 billion merger between CVS Health and Aetna is getting a greenlight from the Department of Justice, with some conditions. 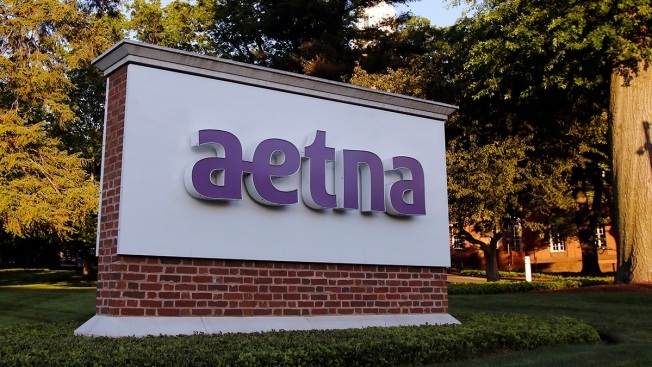 Aetna announced last month it'd sell the business for an undisclosed amount. CVS announced plans to buy Hartford, Connecticut's Aetna late last year. The deal is expected to give the Woonsocket, Rhode Island, drugstore chain a bigger role in health care, with the companies combining to manage care through CVS stores, clinics and prescription drugs.